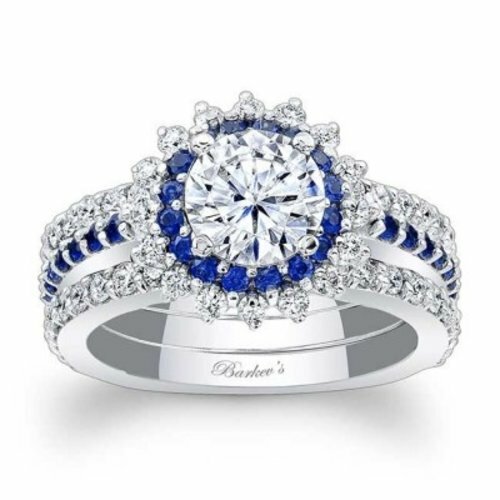 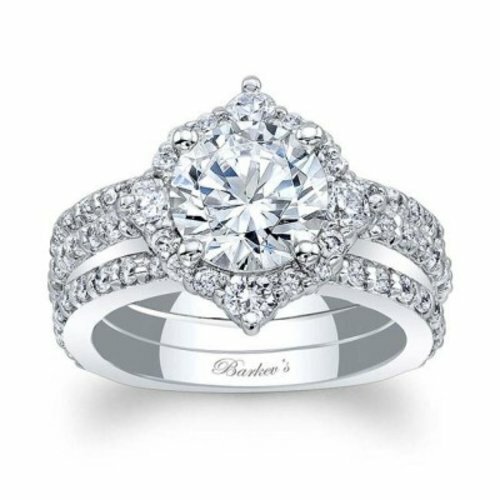 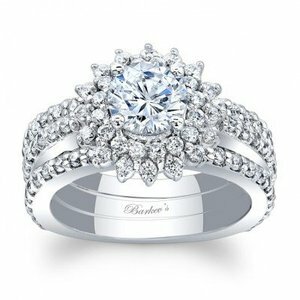 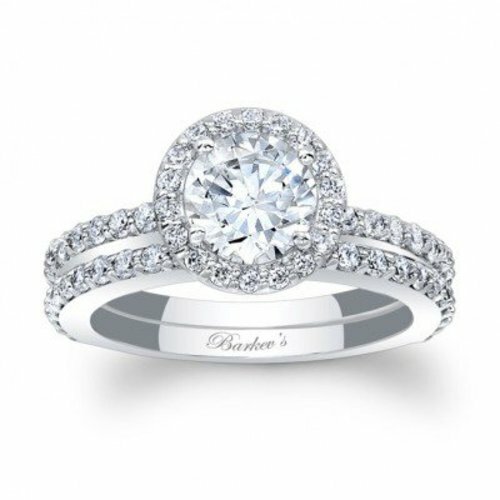 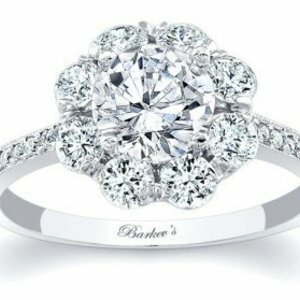 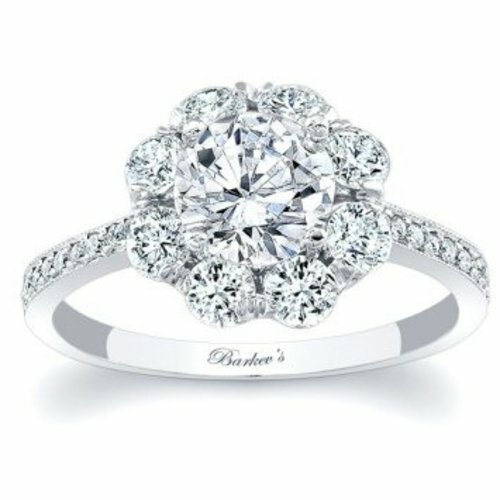 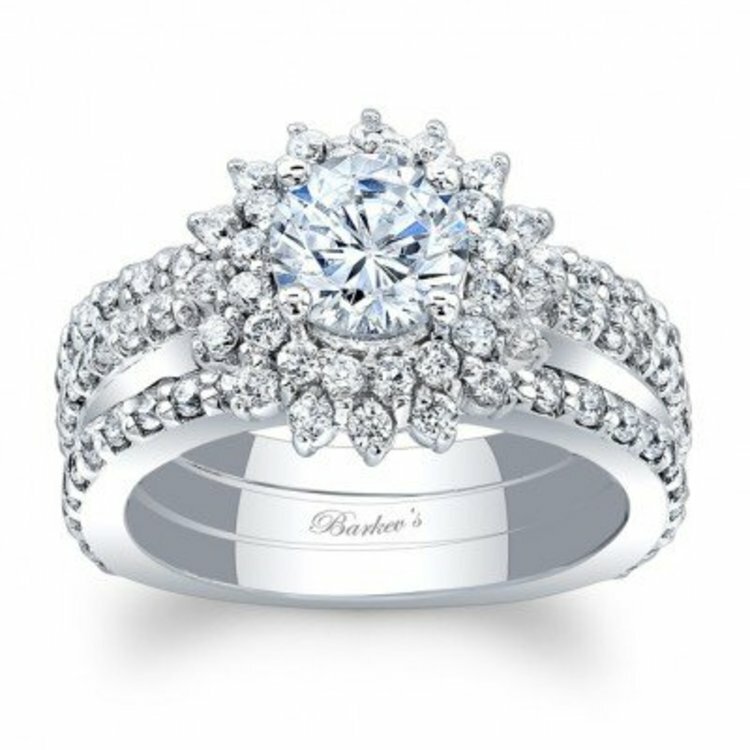 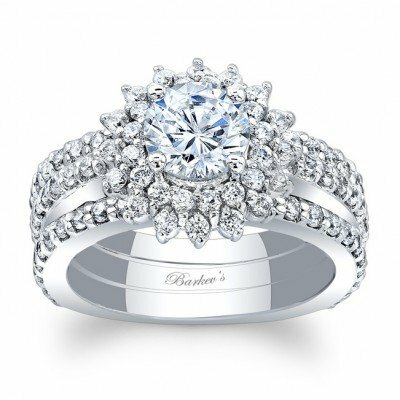 This Unique Starburst Halo Engagement Ring Set Features an Engagement Ring with a Prong Set Round Diamond Centre Encircled with 2 Layers of Diamonds Set in a Starburst Pattern. 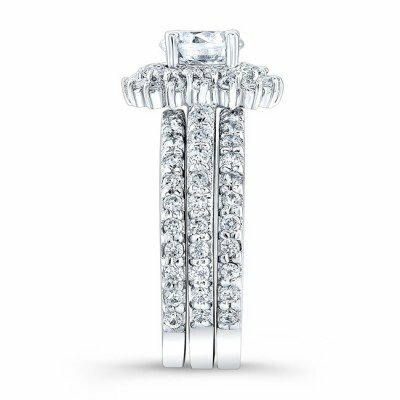 the Dainty Shank Is Adorned with Shared Prong Set Diamonds Running down the Shoulders. 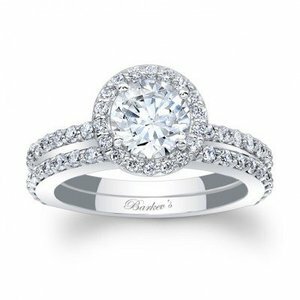 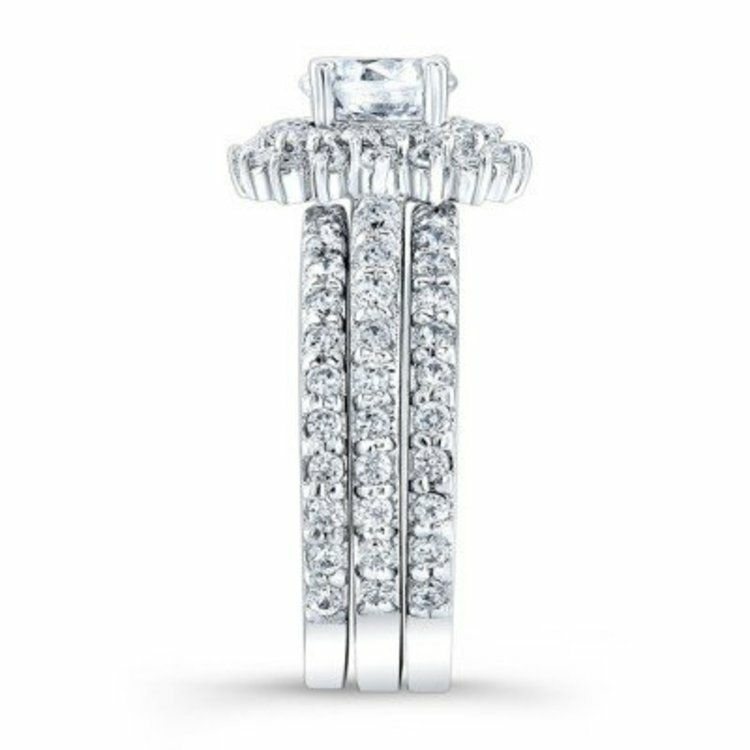 Two Shared Prong Set Diamond Wedding Bands Nest Under the Engagement Ring for an Elegant Finish.